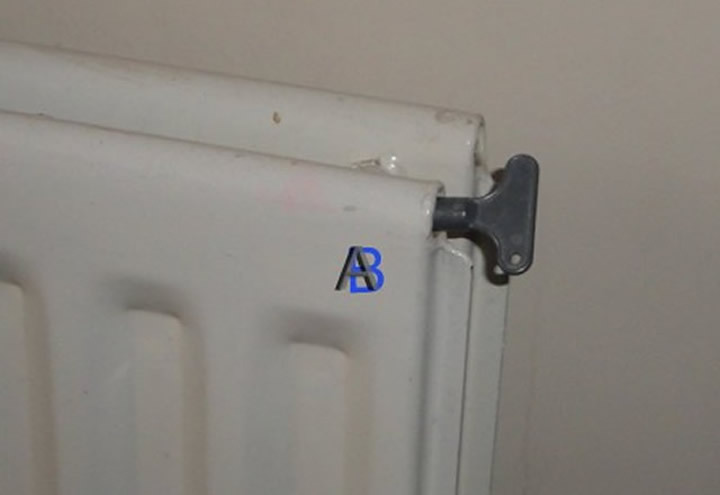 Your radiators may need bleeding if the top of the radiator is cold but the bottom is hot. You will need a bleed key. Starting at the downstairs radiators first, go round one by one until the water comes out of the bleed valves you should be able to hear the air coming out, then go upstairs and bleed the radiators upstairs. Tip! It is best to add an inhibitor to the small storage tank in the loft to prevent corrosion (Fernox etc.). Starting at the downstairs radiators first, go round one by one until the water comes out of the bleed valves you should be able to hear the air coming out, then go upstairs and bleed the radiators upstairs. Keep an eye on the pressure gauge, if you have to bleed the system alot it will need topping up. 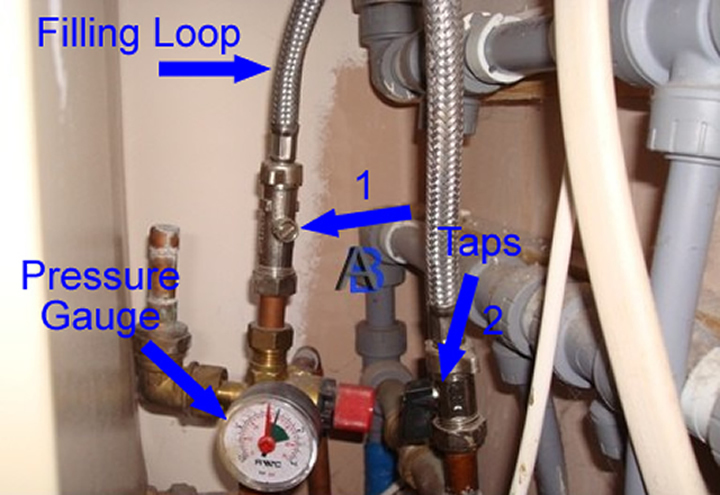 The system is filled using a filling loop (may be silver braided hose or solid pipe) it will have two small taps, turn one tap (1 in picture) fully to the open position (they will only turn 90 degrees and maybe quite stiff) then turn the second tap (2 in picture) slowly until normal pressure is shown on gauge normally around 1bar (marked green in picture).